tom dixon is a british product designer with a commitment to innovation and a mission to revive the british furniture industry. the brand is inspired by the nation’s unique heritage and produces extraordinary objects for everyday use. 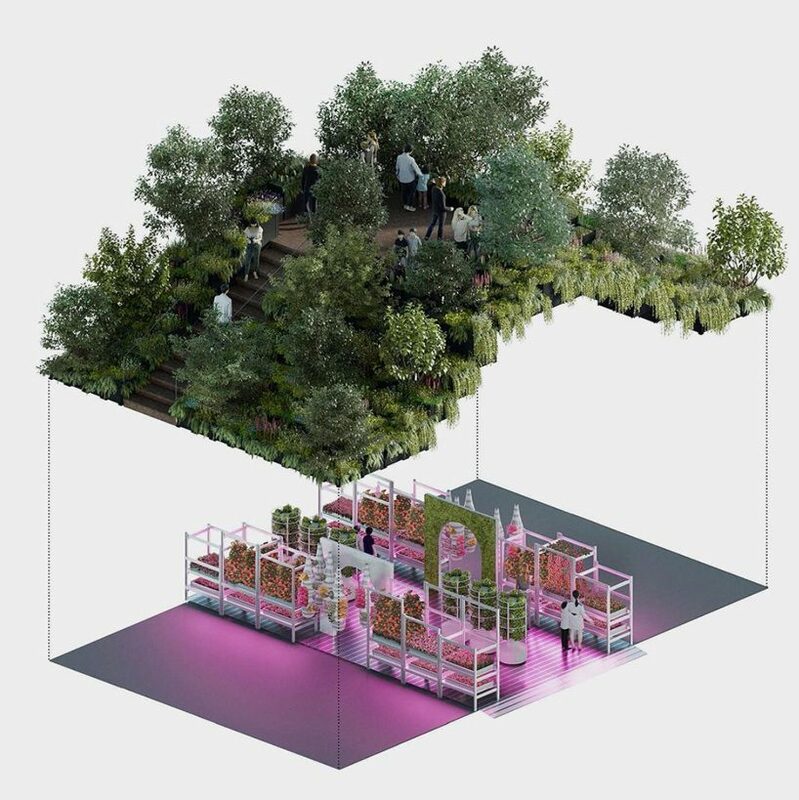 design research studio, tom dixon‘s in-house design and innovations agency, has partnered with IKEA to present their shared vision on the future of urban farming. 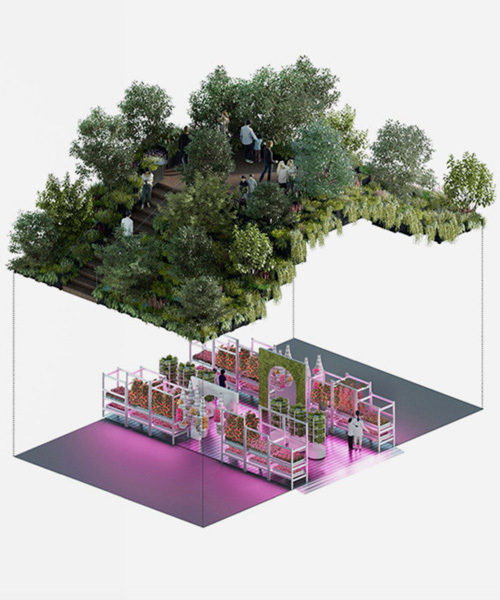 as part of the RHS chelsea flower show 2019,the two will present gardening will save the world, an experimental model for growing plants in the urban environment. 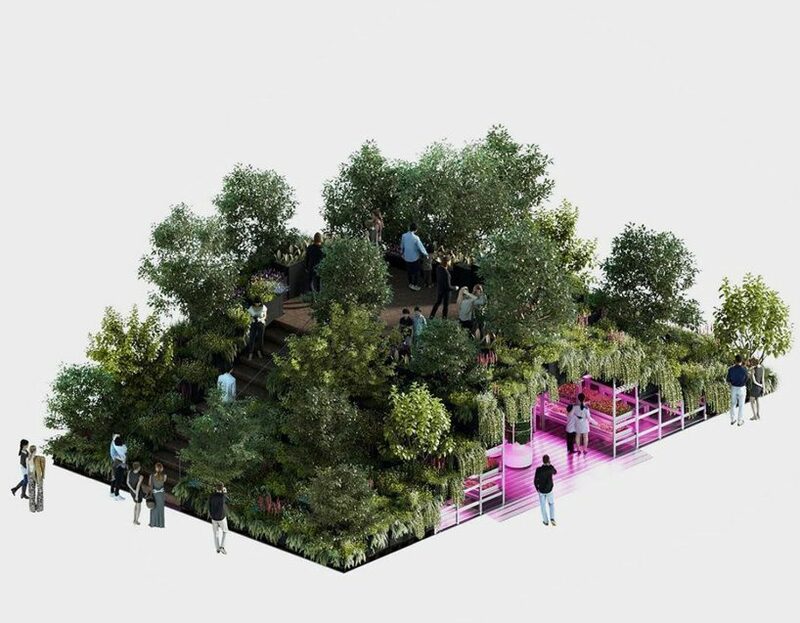 tom dixon’s design research studio and IKEA have envisioned a two-level garden, which will explore the contrast of the super-natural and technological to provide a sustainable, affordable solution for people to grow food and medicinal plants at home and beyond. the garden’s base includes a horticultural laboratory where hydroponic technology is implemented to grow hyper-natural edibles, while the upper level features a botanic oasis. its naturalistic aesthetic encourages visitors to immerse themselves in a canopy-like ecosystem of trees, flowers, and plants, packed with medicinal, health, and environmental benefits.